I write this letter out of frustration with the service and service delivery of Zamtel’s ADSL service. My latest experience has made me make the decision to terminate my services with this provider, I’m sure Zamtel won’t care to lose one customer, as most businesses in Zambia tend not to care about losing customers – despite the fact that it is cheaper to retain a client than get a new one. However, as customers we have the right to demand that where we are spending our money, we are respected and getting the service we were promised. 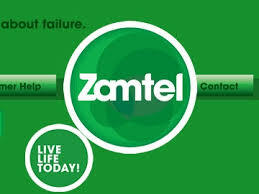 The company I run has been using Zamtel for the last two years and the service has been less than reliable at best. Sometimes it works, other times you’ll be calling the service center relentlessly trying to get information on why the service is not working. Recently we moved office from one location to the other (within Lusaka) – I won’t even talk about the process just to get that done, with every person we spoke to telling us a different process. Perhaps Zamtel should consider training their staff properly, or for those staff members that can’t remember their training, a simple handout of the process that can be given to clients would suffice. So finally we get a new phone number and our ADSL reconnected at our new premises, but then we get told that we’ve got a new account number – I was actually told that when you move offices you are given a new account number. I spoke at length to the person on the other end of the phone about how that didn’t seem to make sense as then your business has multiple accounts, how would you know which was the right account? The man even agreed, and just said that was how it worked and they were actually going through the process of removing inactive accounts for that very reason. On the 14th of January I accidentally paid our ADSL bill on the old account and on the 16th of January I went back to the Manda Hill branch where I paid to correct the mistake as well as find out why yet again the internet was not working. I have to admit at this point – 10am, I was already irate because I had been unable to do any work due to the lack of internet connectivity. I had planned my day that required me to be online to deliver on key work. When I got into the service center at Manda Hill the first thing I did was go to the Customer Service counter, just to be told that there was one line for all desks – even though the other desks were for bill payments. In terms of providing service in a timely manner for your customers, this way of operating does not make sense. I waited in line patiently behind people who wanted to pay bills (even though there are at least three desks that could service bill payments). Finally I get to the counter to be served by Batuke Kalimukwa (who didn’t want to give me his full name by the way). As any irate customer would do, I complained that Zamtel’s customer service was poor. He didn’t even try to appease me, and just asked what service I needed. I explained to him our problem and he said that I must have given Zamtel instruction to open a new account – which I didn’t. So he advised me to write a letter to Zamtel asking to close the account. What about the money paid on the account, could that be transferred to my active account? Nope, because it’s a pre-paid account (the inactive one), but I could write to Zamtel to ask for that to be reimbursed (good luck, was his attitude). I asked him if he could tell me why the internet was so slow this morning. Because we’re on a package that only services five or less computers – ‘It was in the brochure’, he tells me, like I ever received a brochure! Instead I told him that it was one of his colleagues who sold us the K900 a month package, and we were never given the brochure. Tough. I was told to write a letter to lodge in all my complaints, and address it to the Customer Service Manager. After asking for a name and address to write to, I was told simply to address it to the Customer Service Manager, Zamtel. Pray tell why there is no name for the Customer Service Manager? What does that say about transparency? Finally I asked if he could tell me if there was a fault on the network as only three computers were connected to the network so by his own admission, the ADSL package we’re on should work. No, he couldn’t tell me because his machine was only for payments. Hence the reason I wanted to go to the customer service desk in the first place – but then again, who knows if she would have that information to hand either. At this point, in the middle of my complaints and queries, Batuke’s phone rings, which he answers in front of me, with no apology or concern that I had not yet finished trying to get a solution for my problem – though I guess at this point, it was clear that he was unable to offer a solution. As a Zambian, I am frustrated that a company we in effect own, treats its customers, it’s Zambian customers so poorly. But I also don’t believe that we should reward bad services with our business, how else do we let companies know it’s not ok? I have given Zamtel enough chances, and now I believe it is time to move my account. Processes and systems are good when they work, but as human beings we should have enough intelligence (or just common sense) to be able to operate in a manner that uses common sense, this is what sets us apart from computers. But my experience with this person at Zamtel was his inability to problem solve and offer workable solutions. Perhaps Zamtel doesn’t empower its employees to take initiative or to think, when today’s environment demands that we do attend to client’s needs, and sometimes that means thinking outside of the processes to keep your client happy and to keep them with you. The service provider I went to after my Zamtel experience, to get a quote for their services, greeted me with a smile and was able to answer all my questions. Her pleasant manner and putting my concerns first (she even asked me if it was ok for her to answer her phone when her maid called), put me at ease and made me want to switch to them. Zamtel can not just rely on its affordable price strategy, but to actually deliver on the service to match – and this isn’t just the service of its products, but of its people too. Gone are the days when anyone needs to be held to ransom due to lack of choice. Zamtel would do well to also remind its staff that their attitude, their work ethics, their ability to do the job ultimately is a reflection of the Zamtel brand. The service I got today tells me that Zamtel is an arrogant, archaic giant that does not value its clients. I hope for Zamtel’s sake that I am the only customer who feels this way or has had such an experience with its representatives. Cathy- I feel your pain. My partner and I have gone through the exact same thing having moved from Northmead to Avondale. It really does not make sense to have to change account numbers for the same client! The internet on average works for 3 out of 7 days, yet we are paying for the whole month, simply appalling! I don’t know whose customer service is worse between Zamtel and Airtel, all I know is that I am fed of giving them my money for a shoddy service and will now take my custom elsewhere. Came across this article when looking on the internet for any other news on when this latest “challenge” is going to be fixed. You are not the only one. I have struggled with Zamtel for more than two years. The alternatives, I felt, were worse. My ADSL worked sometimes and it was good value for money. However, a month ago, the connection went down. No one, and I mean no one, seems to be able to provide any information. They either do not call back, or when they do, they say something like “I called a guy to follow up with me but he didn’t.” Latest line is “Internet will be fixed in six weeks.”, which is the same line I got last week. They really seem to be a totally hopeless organization.